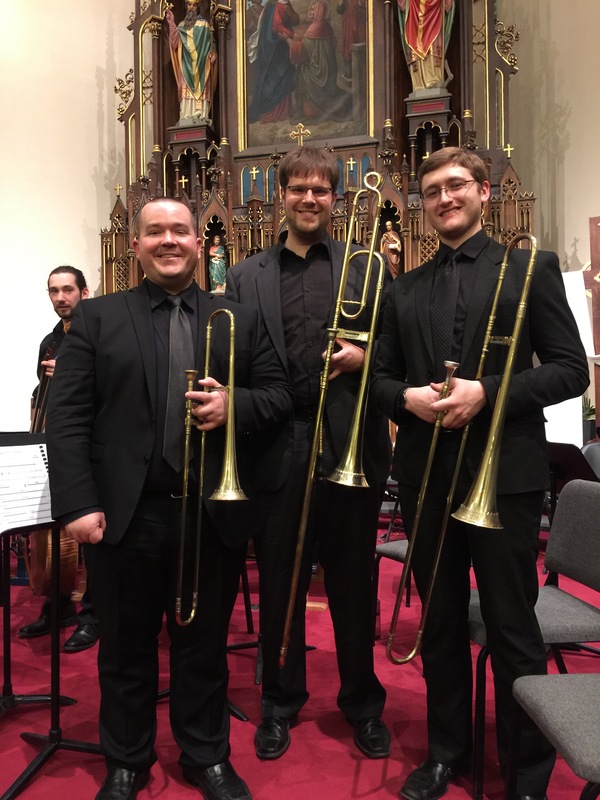 Dr. Jonathan Allen, Benjamin Yates (DMA candidate), and Gavin Carney (MA student) performed Claudio Monteverdi’s Vespers of 1610 with Dr. Timothy Stalter and The University of Iowa’s Kantorei as part of a joint meeting of the American Handel Society and the Society for Seventeenth Century Music. They played on sackbuts owned by the University of Iowa. These instruments were recreated by extent models from the sixteenth century.